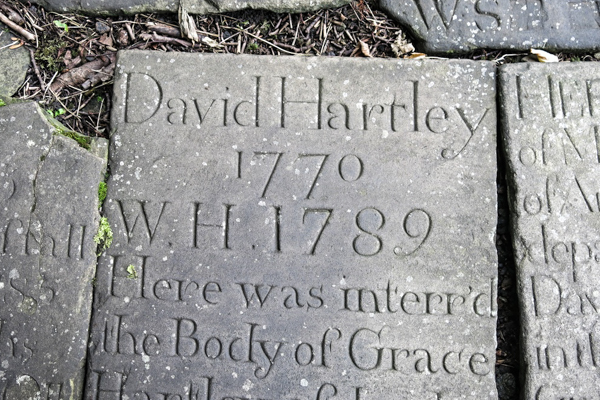 Hebden Bridge began as a small hamlet between two larger communities – Heptonstall, which we visit later – and Wadsworth. 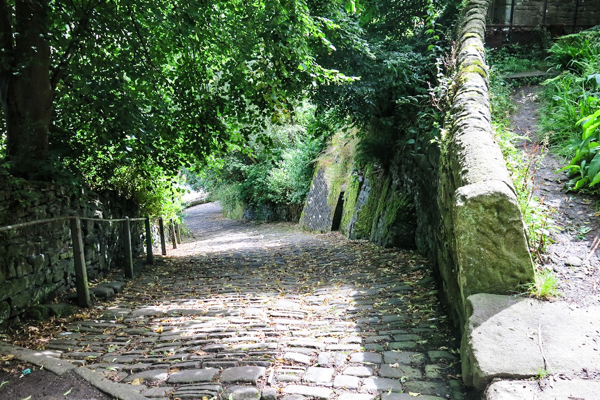 Steep hills with fast-flowing streams and access to major wool markets made Hebden Bridge ideal for water-powered weaving mills and the town developed during the 19th and 20th centuries. 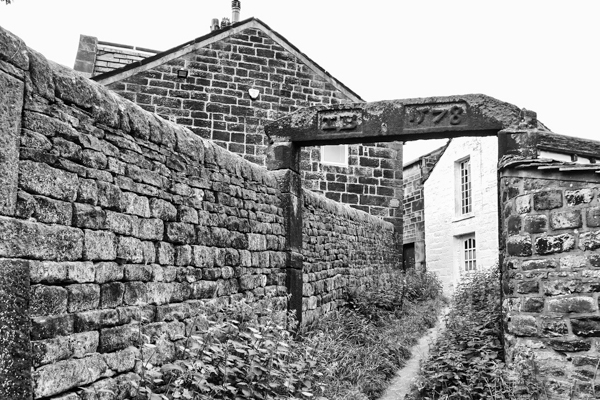 At one time, Hebden was known as “Trouser Town” because of the large amount of clothing manufacturing. 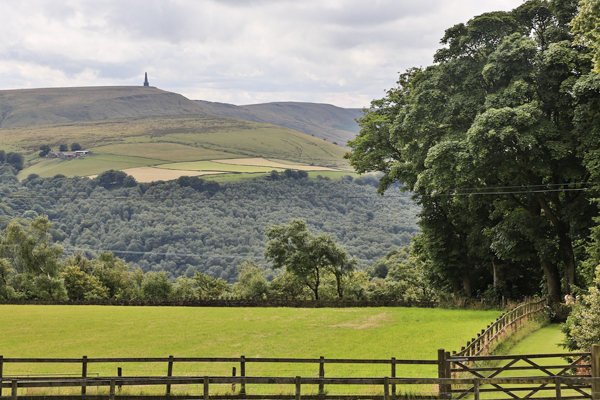 Drainage of the marshland, which covered much of the Upper Calder Valley before the Industrial Revolution, enabled construction of the road through the valley. 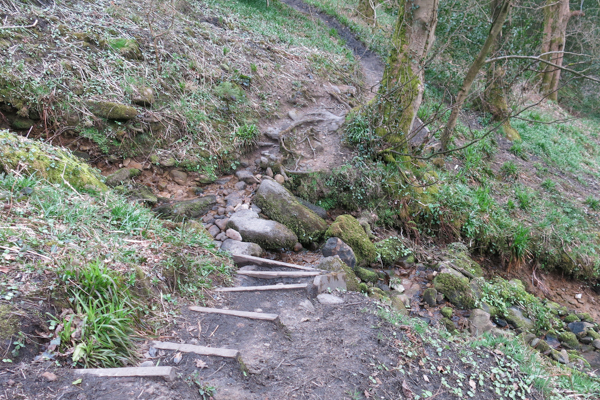 Before it was built, travel was only possible via the ancient packhorse route which ran along the hilltop, through Heptonstall. The wool trade was served by the Rochdale Canal (running from Sowerby Bridge to Manchester) and the Manchester and Leeds Railway (running from Leeds to Manchester and Burnley). 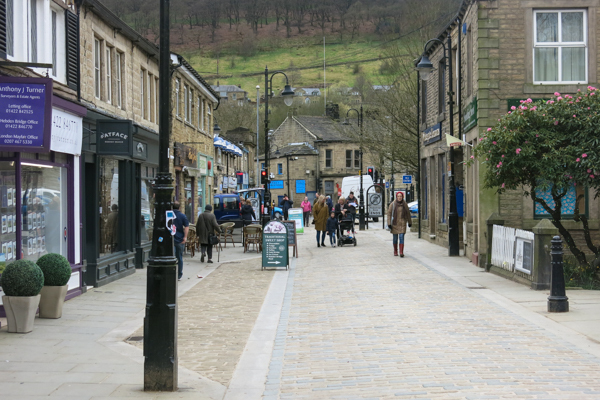 Hebden Bridge has a high density of independent shops for a UK town of its size. 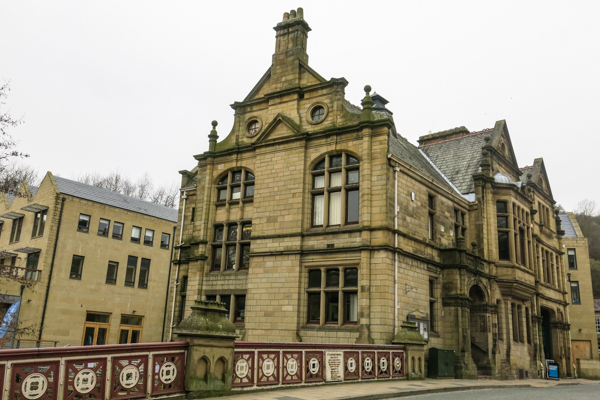 In a national survey by the New Economics Foundation in 2010, Hebden Bridge was ranked sixth on a diversity scale. The town hosts the Hebden Bridge Blues Festival during the Spring Bank Holiday at the end of May. Established in 2011, the festival was voted the Best British Blues Festival in both the 2012 and 2013 British Blues Awards, ahead of over 40 other festivals on each occasion. The April 2005 issue of the British Airways flight magazine said that Hebden Bridge was the fourth most “funky” town in the world. Online dictionaries define funky as “modern and stylish in an unconventional and stylish way”, “fashionable in an unusual and noticeable way” and “stylish, exciting, cool.” More funky than Hebden Bridge, according to BA, were Daylesford, Australia; Tiradentes, Brazil and Burlington, Vermont. 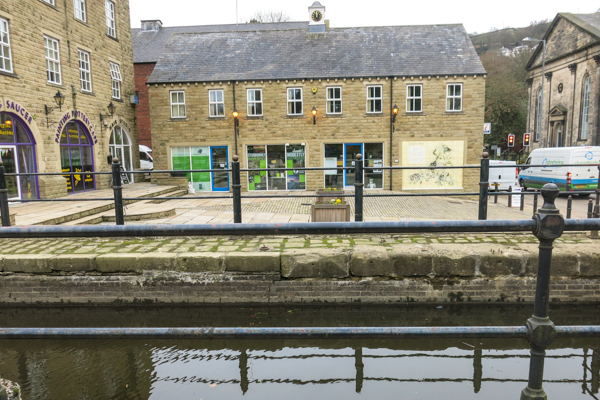 Hebden Bridge has attracted praise for its eco-friendly policies, banning all plastic shopping bags, thus becoming the largest community in Europe to do so. The ban is not legally enforceable, but is a voluntary agreement between local shop owners and the community. 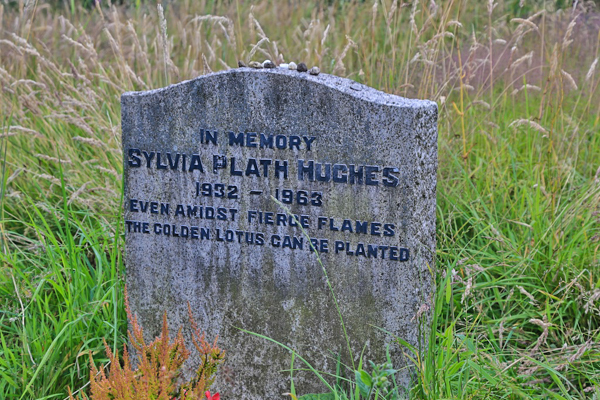 As of 2004, Hebden Bridge had the highest number of lesbians per head in the UK. Directions and added information with pictures of key sites. Best for browsing at home or on your mobile device.